Featuring Suschnig’s screenprint series Ist das Kunst oder kann das weg? (transl. : Is this art or can we throw it away?) of 2017. 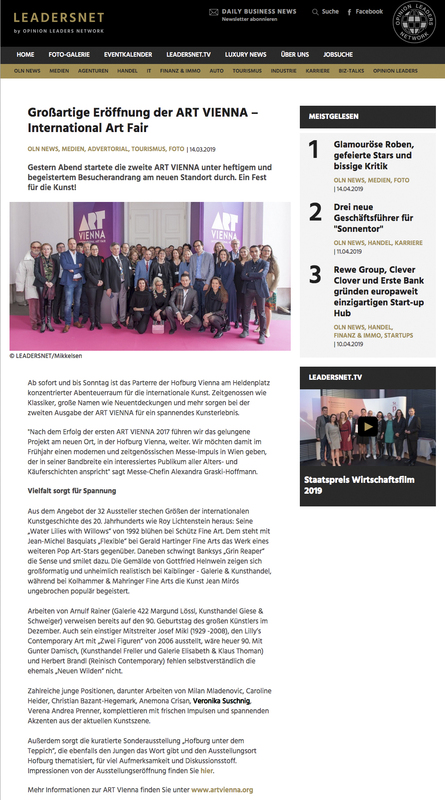 Article in Kronen Zeitung on Veronika Suschnig winning the first prize of Bank Austria Artprize 2018. Also featuring David Holzinger as second prize laureate. Article in Kleine Zeitung on Veronika Suschnig winning the first prize of Bank Austria Artprize 2018. Also featuring David Holzinger as second prize laureate. RÄUMEN-RAUMWISSEN IN NATUR, KUNST, ARCHITEKTUR UND BILDUNG was published by BELTZ JUVENTA in 2018 and features a handdrawn map by Veronika Suschnig in an article by Antje Lehn and Elisabeth Sattler.